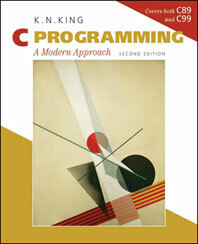 C Programming - Description | W. W. Norton & Company Ltd. Professor King's spiral approach made it accessible to a broad range of readers, from beginners to more advanced students. With adoptions at over 225 colleges, the first edition was one of the leading C textbooks of the last ten years. The second edition maintains all the book's popular features and brings it up to date with coverage of the C99 standard. The new edition also adds a significant number of exercises and longer programming projects, and includes extensive revisions and updates.